Get 15% off your order of $50 or more! 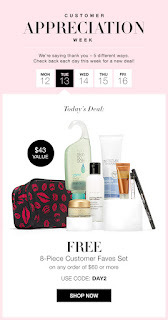 Get our Customer Faves Bundle with your order of $60 or more! Receive Free Shipping with your order of $25 or more! 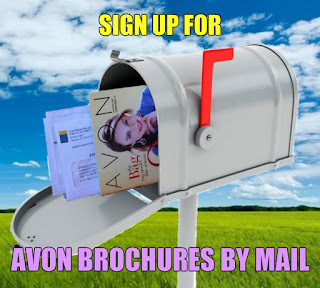 Get a free Newspaper Tote filled with our Avon Senses Comforting Fig Collection (Body Lotion, Bubble Bath, Shower Gel and Avon Shower Pouf) with your order of $45 or more! Flash sale! Get 40% off select products. 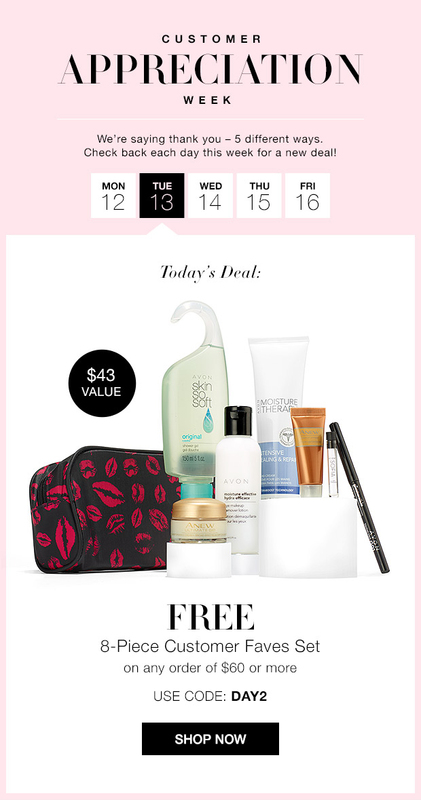 Prep for fall with a free makeup 5-piece set with your order of $45 or more! Celebrate the arrival of fall with free shipping on your order of $25 or more! Presale begins on the exclusive mark. I Dream of Glam Palette! 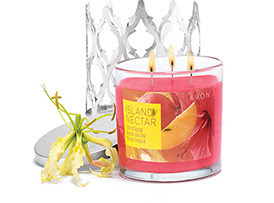 Stock up with up to 50% off select bath and body, skin care and makeup!